Plockton Hotel wins regional pub of the year. 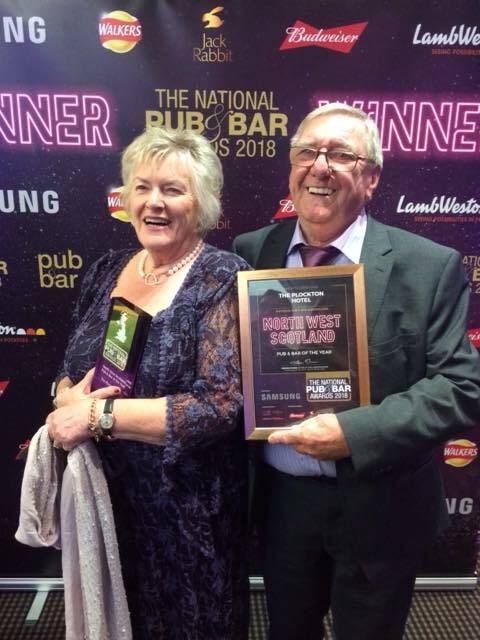 The Plockton Hotel has been named as the Regional Pub of the Year (North West Scotland) at this year’s National Pub and Bar Awards, which were presented recently at the London headquarters of BAFTA in Piccadilly. The family-run hotel, which also hosts an annual Real Ale and Gin Festival each May, won the Best County Pub Award in April. The Pearson family were then invited to London to collect this award. They did not know if they had won Regional Pub of the Year until during the ceremony.